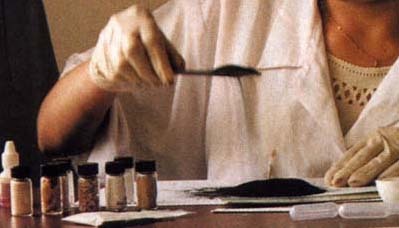 Cobalt and ferric chloride are virtually undetectable masking-chemicals. They are mixed with pure cocaine - perhaps 40% - and later separated out. into canine junkies. This ensures the dogs will avidly sniff out contraband narcotics. been used as "mules" by cocaine traffickers.